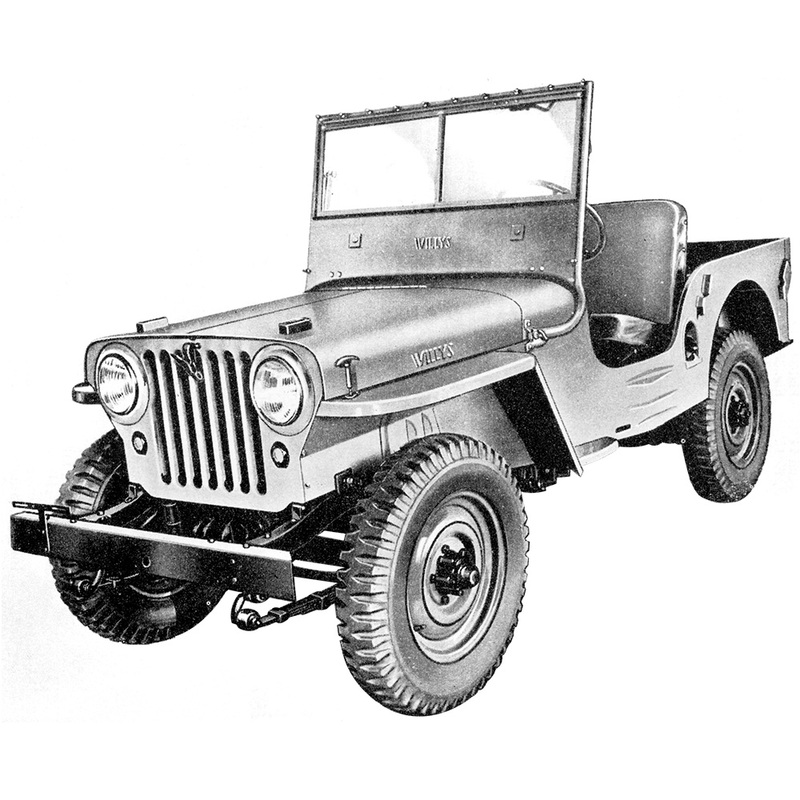 With the close of WWII now eminent, Willys-Overland began to consider the development of a civilian jeep that it could market beyond the scope of the militarized MB, leading to the first mass-production of the CJ-2A in 1945. First drafts of the CJ-2A included the CJ-1 and CJ-2 (AgriJeep), of which only 6 are known to have survived. The CJ-2A resembled its military ancestor closely, with a tailgate and side mounted spare tire. 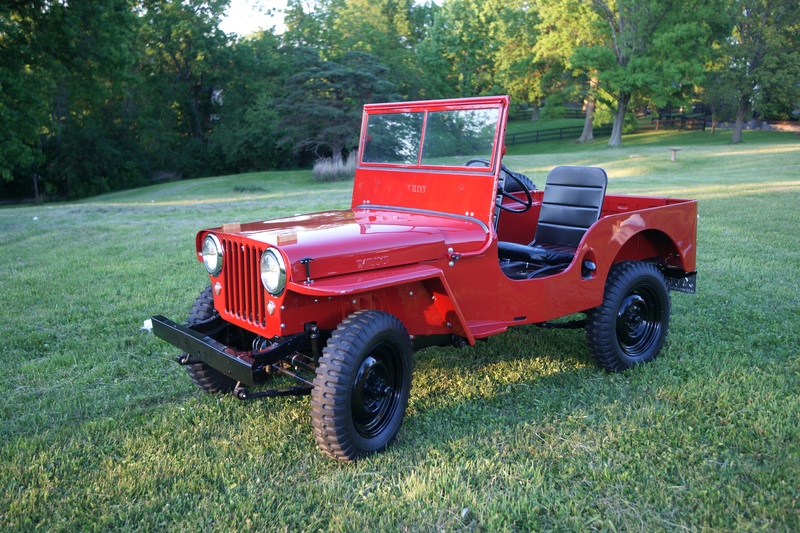 However, there are certain characteristics of the CJ-2A that make it easier to distinguish from the Willys MB; most notably with regard to the headlights (which on the CJ-2A are larger and flush-mounted) and the grille (now a seven-slot grille as opposed to the nine-slot MB grille). The CJ-2A T-90 Transmission replaced the MB’s T-84, while the "Go-Devil" engine was kept intact - many of the early CJ-2As were equipped with surplus parts leftover from wartime production. 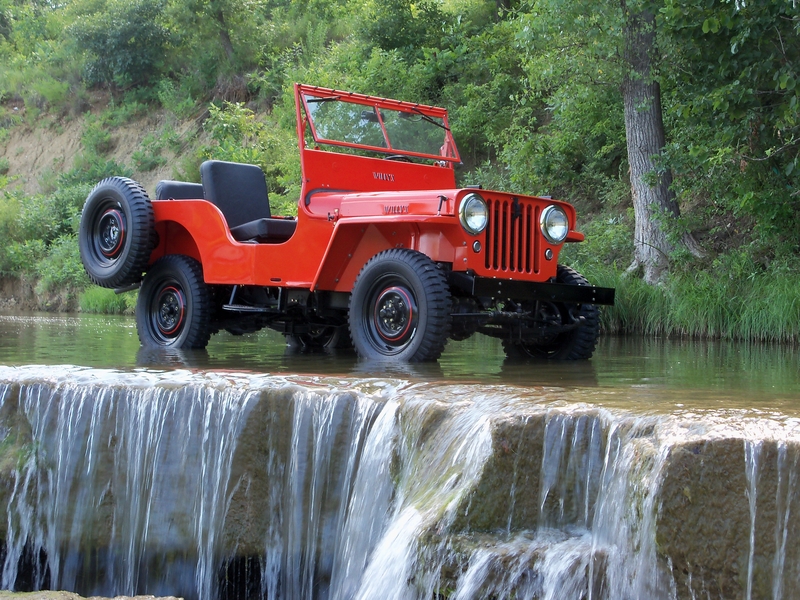 Willys Overland first marketed the CJ-2A with the intention of gaining ground in farming, ranching, and other industrial and agricultural applications. Options were abundant on the CJ-2A, including extra equipment such as a rear seat, center rear view mirror, front passenger seat, canvas top, front PTO, rear PTO, belt pulley drive, capstan winch, governor, rear hydraulic lift, snow plow, welder, generator, mower disc, front bumper weight, heavy duty springs, dual vacuum windshield wipers, dual taillights, hot-climate radiator, driveshaft guards, heater, side steps, and radiator brush guard. 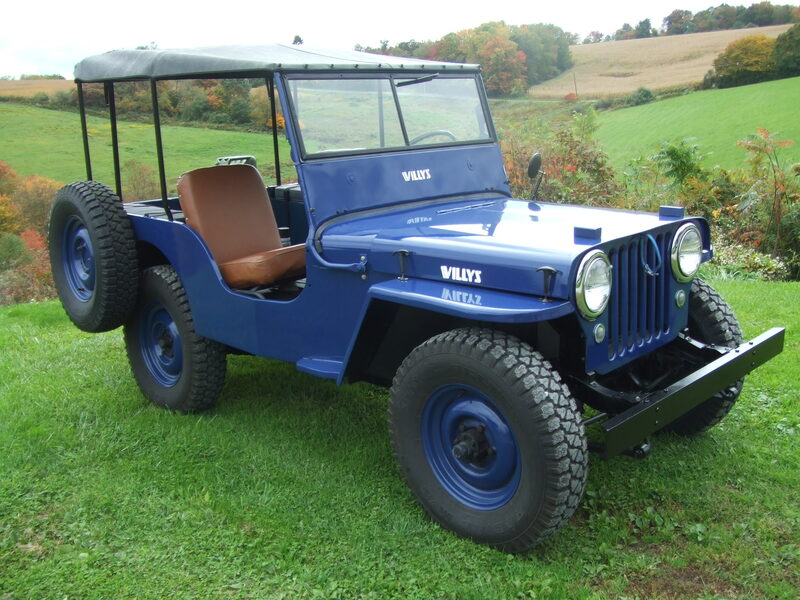 In 1949, the Willys-Overland replaced the CJ-2A with the CJ-3A, which was produced until 1953.